I have worked in Lloyds Banking Group for over 3 years, predominantly in our Group Public Affairs division. At the end of Summer of 2018, an amazing opportunity arose for me to work in the Department for Digital, Culture, Media and Sport on the Digital Skills Partnership. After some online research, and conversations with the Digital Insights, Policy and External Relations team at Lloyds Banking Group, I knew this was the role for me. 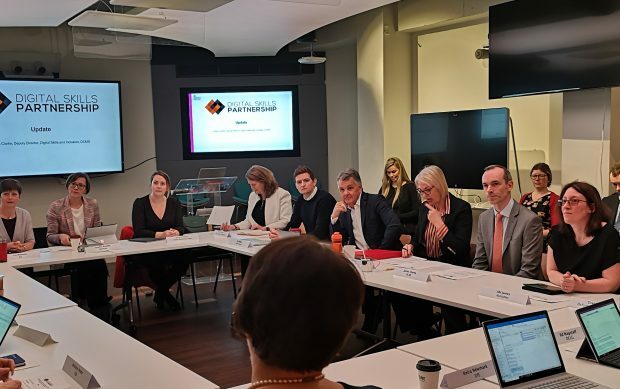 The Digital Skills Partnership (DSP) brings together the public, private and third sectors to increase digital capability across the country and enables organisations to learn from each other. 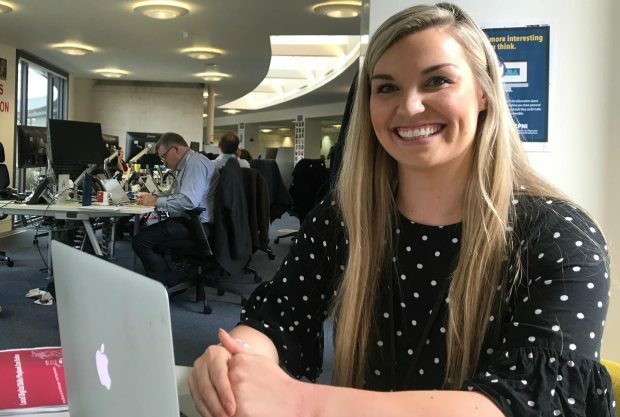 Two months later in October 2018, I began my first day in Westminster on a six month secondment with the Digital Skills Partnership. Having a degree in History and Politics, the move to central government was actually in many ways a return to my roots. After I graduated however, I decided to take the less obvious route into banking, initially working on remediation projects for Barclays and thereafter joining the graduate scheme at Lloyds Banking Group. I loved every second of my various placements on the scheme, but found a great role in the Public Affairs function - finally an area I could put my political knowledge to some use! In this area, I gained an understanding as to how the Group were helping 1.8m people gain digital skills, and how it was utilising partnerships with governmental departments like DCMS to drive change for people. After getting closer to the work that was underway, including the development of the Lloyds Bank Academy, the creation of our Digital Index reports and the Digital Champions network, I could see that it was an area I could make a lot of impact in. It was also brilliant to work with a group of people who were so genuinely so committed to making a positive impact in the work that they do! My role here in DCMS allowed me to focus on the things that really were of interest to me and my strengths at work. I’ve been able to work within the Digital Skills Partnership team to gain a real understanding of their policy area and support the Local DSPs which are being set up around the country as trailblazers. It’s also been a great opportunity to bring my knowledge of and interest in project management, stakeholder engagement and governance to the programme. 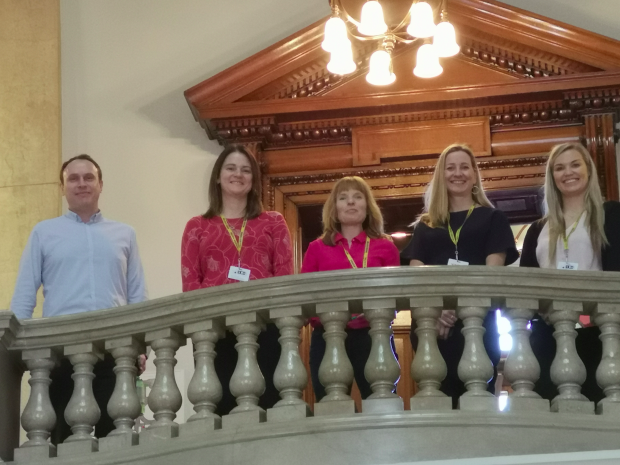 It’s been fantastic to see the work progress through my time here, with the launch of the West Midlands Combined Authority Local DSP in December, through to the announcement of the next three trailblazers due to launch in the next few months. I’ve been able to work closely with the regional coordinators, and it’s allowed me to build a solid understanding of the scale of activity and the range of opportunities that are being created on the ground in their regions. Working within DCMS has been a great development opportunity for me. It has allowed me to get exposure to how things work here in central government and how the different departments work together. I also now understand the policy area in a lot more depth and the network of people required to mobilise change. This becomes invaluable knowledge for when I head back to Lloyds. I’ll be back at Lloyds from the end of April, but the relationships I have built here will last well beyond that, and I hope to still be working closely with the DSP team, even if it’s from the other side of the fence! It’s been an amazing experience to work in Whitehall and I would really encourage anyone to seize the opportunity. It was a great opportunity for Faye, and for the Group, to have been able to secure the secondment to DCMS for six months. 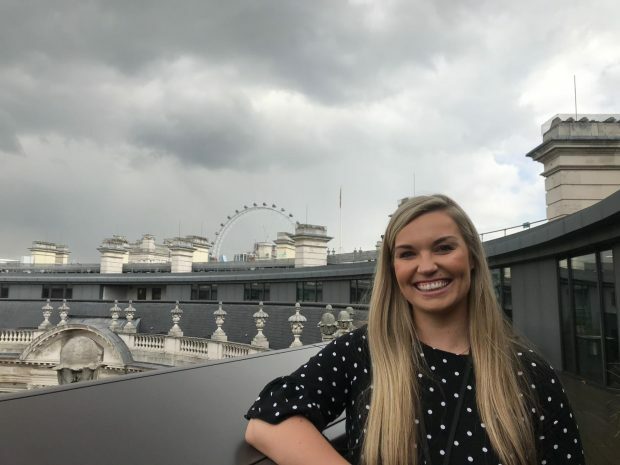 Not only has it helped to accelerate an important government programme, but it also allowed Faye to gain a brilliant development opportunity doing a role that suited her skills, interest areas and passion for helping people. This knowledge will be invaluable for our Group as it continues to shape its digital skills agenda and as we seek to drive impact. I’m delighted with what she has been able to accomplish, and hope the plans she has set in motion will help drive the social inclusion, mobility and productivity of the Local DSP communities.